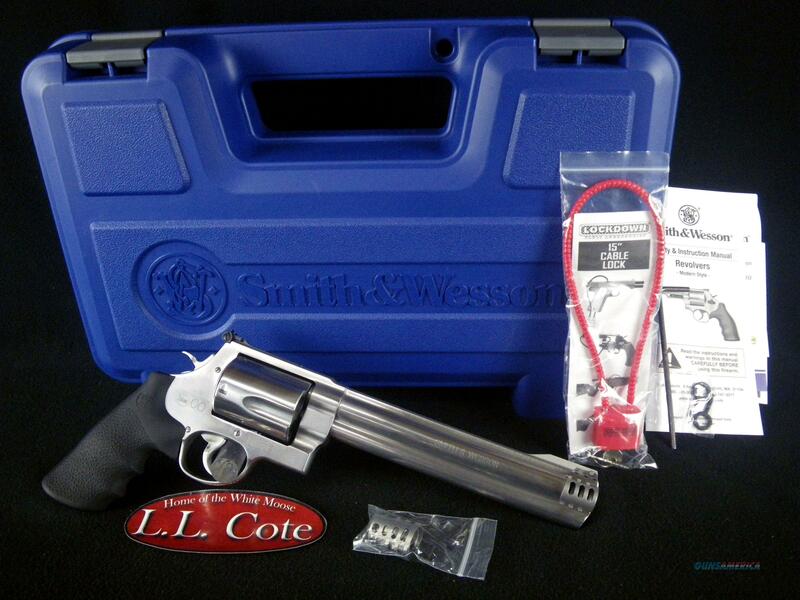 Description: You are bidding on a Smith & Wesson Model S&W500 in 500S&W Magnum with an 8.38" barrel. In 2003 the gunsmiths and engineers at Smith & Wesson wanted to deliver maximum power for serious handgun hunters. The power they sought required an entirely new frame, the massive "X-Frame™," and was the basis for the new Model S&W500™, the most powerful production revolver in the world. This ushered in the era of the "big gun" and was only the beginning. For ultimate power and velocity there's nothing even close to an X-Frame model handgun. HIVIZ® sights, Interchangable Compensator. Displayed images are stock photos. Any questions please feel free to ask (our phone number is in the additional information tab above).